Did you have late start days in high school? We used to get together and make crepes on those days and wow they were delicious. 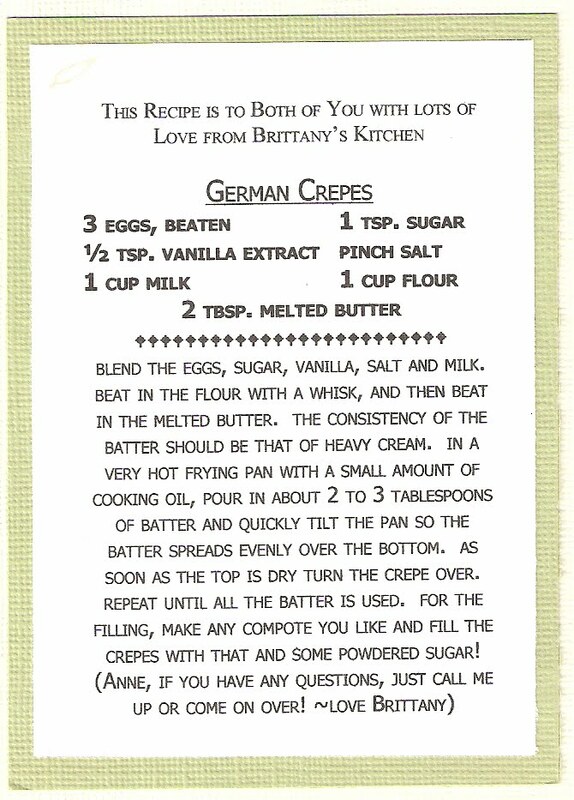 My friend Brittany had the best recipe and they always turned out great. Since then I've tried lots of recipes (even Alton Brown's) and none compare to hers. They are easy to make (they don't rip when you flip them), don't require any special tools, and taste great with any filling. Get some strawberries and nutella and I'm yours for life. Make this caramel sauce if you're feeling fancy. To make these all you'll need (besides flour, eggs, milk, butter, and vanilla, which you have I'm sure, right?) is a nice round nonstick pan, a brush for the melted butter, a bowl and whisk. I think even my non cooking friends have that. A fabulous weekend brunch awaits you- go go! Oh one last thing- Katrina is the winner of my last giveaway. Congrats! Bring to a boil in a medium to large saucepan, stirring constantly, and boil for 2 minutes. Add ½ cup heavy cream. Bring to a boil again, stirring constantly, and add ½ teaspoon vanilla. I am totally going to make these, Yummo!! Delicious!! I have never made crepes, but guess I should give them a go. We LOVE crepes here--banana/Nutella is our favorite. Will for sure have to try the caramel sauce! AND YAY for me to win the giveaway. Thanks! 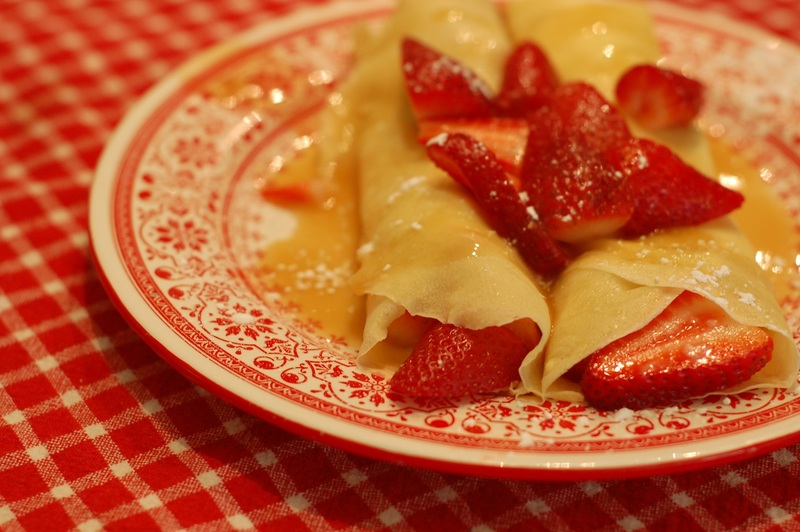 The crepes look great, but can I just have a dish of caramel sauce and a spoon? Easy no rip crepes? I can't wait to try them! Just thought you'd want to know the second link is the same as the first. Yum! I love crepes and these look great.